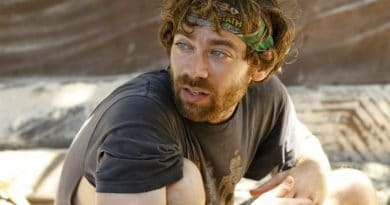 Survivor spoilers hint a David vs Goliath castaway reportedly smuggled drugs onto the Fiji set that may have helped their game. Mike White is the name suggested a the cheater. Another inside leaker said THC is the contraband mentioned. THC is the main compound in marijuana responsible for its psychological effects. There was talk swirling that the cheater – who is in the final two – could be disqualified during the Survivor live finale. Yesterday, a CBS inside source spilled tea on a shocker that could rock the final vote tonight. Unfortunately, the latest info says the cheater will get away with it. Here’s the behind the scenes chatter. Survivor Castaway Contraband – Mike White Smuggled THC Onto Fiji Set? A Survivor insider has in the past very accurately verified spoilers on many CBS shows. The leaker said that one of the castaways was facing disqualification even though the taping of the season ended months ago. She said that contraband was found when the finalists were packing to leave. The item, rumored to be THC, could have helped the cast member compete more effectively and could be considered a performance enhancing drug. The controversy expands to say that production assistants noticed the smuggled item, but did not report it to higher-ups. But later, another of the finalists ratted it out to the higher-ups, so it couldn’t be brushed under the rug. 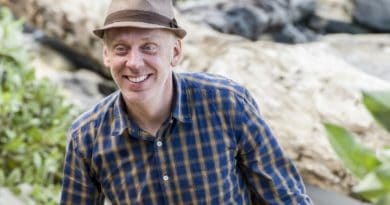 Another solid source of Survivor spoilers says that Mike White was the smuggler and he brought in TLC. Another reliable source also said the smuggler was Mike White and the item brought in was THC. It was leaked that CBS was scrambling and considering a live revote. That would be troublesome since the votes are always made before the castaways reach the real world and watch the aired episodes. It would be game-changing and a stunner to fans. 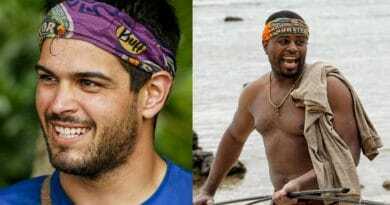 This morning the source revealed that although “another castaway recently narced on them” the cheater “will NOT face penalty” and “votes stand”. Then added that the network is “overlooking flagrant disregard of rules by a player”. The source went on to say that it’s not unbelievable given other things seen behind the scenes over the years. @TMZ still waiting for you to repprt about Mike White smuggling THC in fiji while on #survivor He won but should be disqualified for breaking game rules and local laws. Possessing marijuana leads to a three months mandatory prison sentence in Fiji. Cbs should be held accountable. This week, Survivor competitor Angelina Keeley called the leak a rumor and “utter BS”. She added it was “fake stuff” and people should enjoy the finale. However, former multi-season competitor, the infamous Russell Hantz, clapped back on her calling Angelina a liar. He said it’s “NOT fake news!”. Then Russell Hantz said, “the question is will it make the cut or not”. It’s likely it will not. Here’s why. Controversies pop up all the time during CBS reality shows. Casual viewers wouldn’t know about them at all. Fans that follow certain leaks and spoilers know about controversies, but this is not the majority of watchers. The network can leave things out of show edits and most people are none the wiser. This may be the case on tonight’s Survivor finale and watchers may not hear about the smuggling. Survivor fans were quick to mention that show executives have banned other players from attending finale night for doing much less. Castaway Alec Merlino will not be at finale night because of his violation of the castaway NDA. 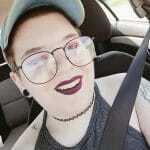 His violation was posting a selfie on Instagram of him and castmate Kara Kay. Merlino reportedly also lost his $10k appearance. It seems sneaking an item into the competition is much worse, right? Sneaking any sort of comfort item onto Survivor is a big deal. Particularly if it could help your game. THC could be a big advantage for a castaway. Here’s why. First, marijuana (and its derivatives) is illegal in Fiji so the castaway could face legal charges. That could prove troublesome to the network. Second, THC is a known sleep aid and a stress reliever. Considering the horrible sleeping conditions and ill-effects of sleep deprivation, that’s huge. If a player gets better sleep than other castaways, they could think more clearly and compete more effectively. Third, THC is used to calm anxiety, another factor in the game that pushes people to the edge psychologically and emotionally. THC could definitely be performance enhancing in the game. As of now, the latest info says CBS may not even mention the controversy and cheating. Only those active on Survivor social media would know about this. If the rumors are true and Mike White did cheat by bringing THC into Fiji, does this change your feelings about the outcome of the game? Tune in tonight to see the David vs Goliath finale and live reunion. Come back to Soap Dirt for all the latest Survivor and Reality News!